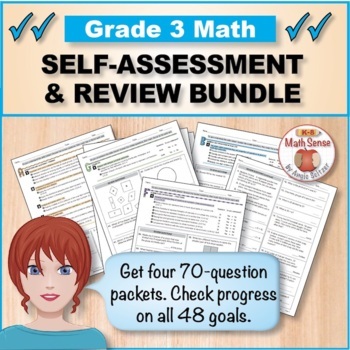 This powerful bundle contains resources to help you communicate, review, and track goals for Grade 3 math all year long! 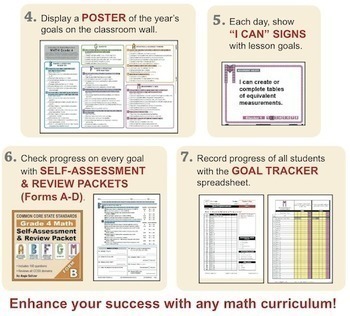 All products are based on student-friendly goals. 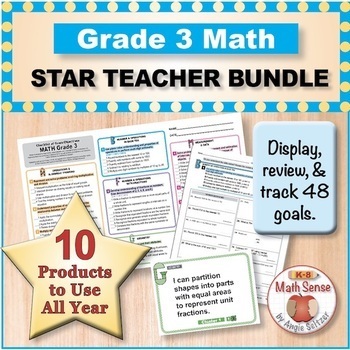 The PREVIEW downloads quickly and includes a one-page visual overview of the Star Teacher Bundle along with Grade 3 goals and a free Common Core overview poster. 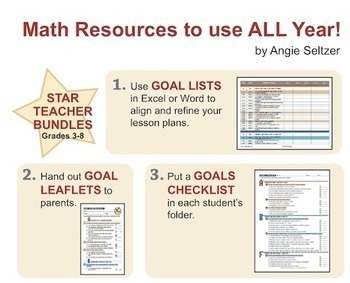 The FREE Grade 3 Math Goals Leaflet includes descriptions of these resources plus more and shows how they are coordinated.